Representatives of the shooting lobby have already stated the ridiculous. My work is done. “These eight birds have all disappeared in an area where driven grouse moor management dominates the landscape, and where there have been many previous cases of illegal killing of protected raptors, including the poisoning of a golden eagle and a white-tailed eagle as recently as 2010. Let’s not leap to any conclusions: this could be the work of extreme conservationists, systematically bumping off birds of prey in the vicinity of grouse moors over decades in a bid to undermine the inglorious twelfth. Or alien abductions. Or spontaneous combustion. 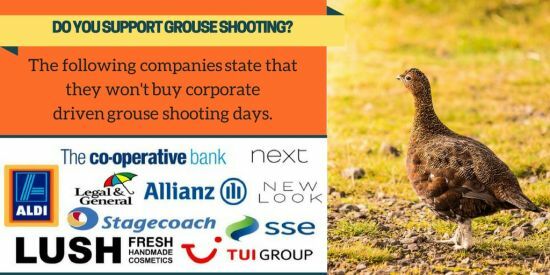 If you’re cynical of the grouse shooting industry’s hand-wringing over these unfortunate but unconnected crimes, please consider signing and sharing the petition to ban driven grouse shooting in the UK and the petition to license gamebird shooting in Scotland – or read more about the case at Missing Hen Harriers: time for zero tolerance.